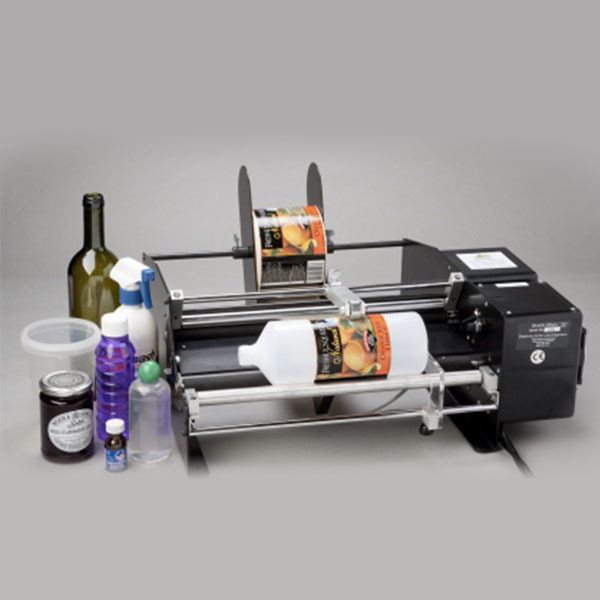 To apply pre-printed self-adhesive labels to products, accurately and reliably every time. 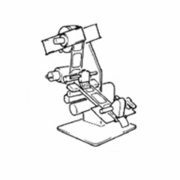 Semi-automatic and cost effective labellers, with 3 models to choose from in the ALS 4310 Series, each capable of applying labels from 8mm to 152mm in width. Optional lot / expiry coders and counters can also be fitted. With a steel base and frame, they are extremely heavy-duty and with no switches, dials or buttons to press, makes the ALS 4310 Series very simple to set up. The auto-calibrating label sensor allows users to load labels, start dispensing and get labelling straight away, while conveniently rewinding up all the waste backing material as it goes. 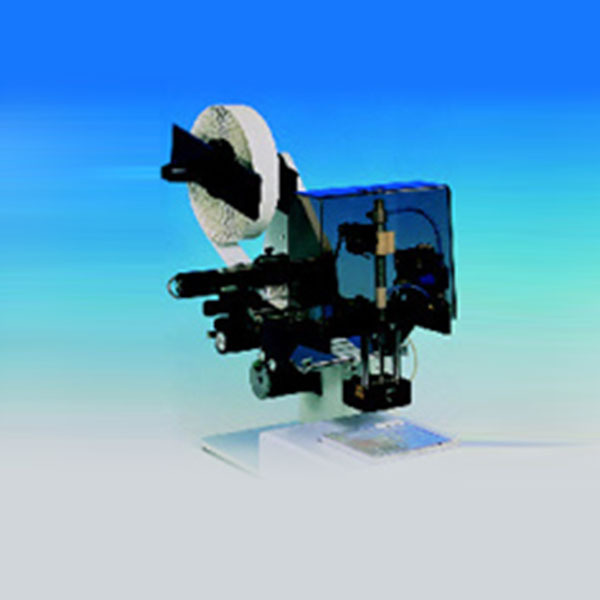 This model is designed for highly accurate labelling of flat, curved, or even recessed product surfaces. 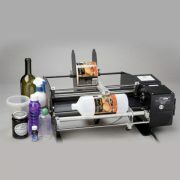 A label applicator and product guides ensure accurate label placement. The labels are first of all dispensed onto a vacuumed retaining plate. 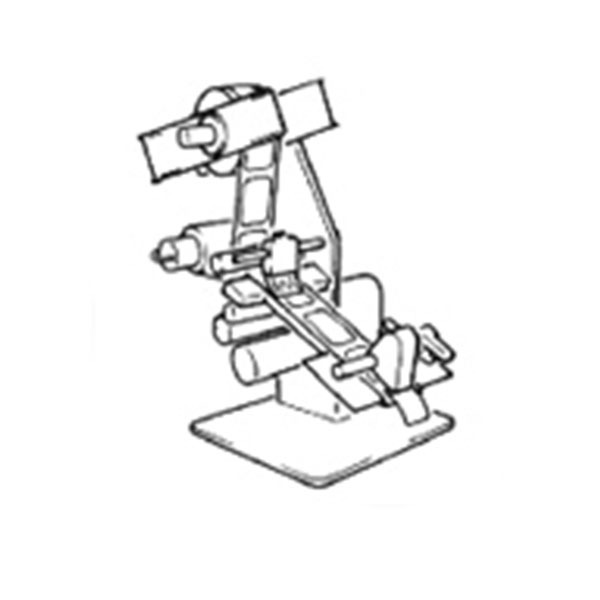 The product to be labelled is then inserted into a jig which is positioned under the label. The retainer plate then applies the label to the product and the next label is immediately dispensed ready to be applied to a new product. Designed for full or partial wrap-around labelling of cylindrical products. 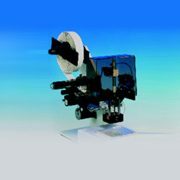 The 3-roller arrangement can be adjusted quickly for varying product diameters from 8mm to 125mm without any re-adjustment of the dispensing edge. 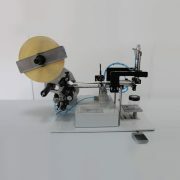 Model “MRU” is automatic and model “W” is manually operated. This machine is designed to apply labels evenly front and back to most cylindrical containers with placement accuracy within 3mm. Most labels can be applied but must be in the correct orientation, be die cut, alternate on the roll for front and back and have a recommended minimum backing width of 38mm. If you are unsure if the labels are suitable please contact your supplier. ALS Labelling Solutions Limited © 2017.